About 2,400 years ago, Plato wrote a piece about Atlantis. He said it existed ‘beyond the pillars of Heracles’. That places it in the Atlantic Ocean. Plato described it as having 7 walls circumlocuting the island. The first five walls were painted red, blue, yellow, white and black. The inmost two were covered in silver and gold. Plato was, certainly, reporting a story that had been passed down for generations prior to his time. Now, the Persian Empire’s treasury was located in a remote city high in the mountains. Called Ecbatana, the city also held the summer palace of the Persian Emperors and, before them, the Medean Kings. The city boasted the exact wall configurations attributed to Atlantis. The silver wall encompassed the ruling family’s quarters, the royal court and the inner temple complex. The gold wall enclosed the treasury. 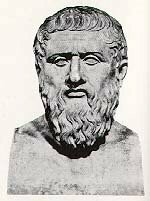 Plato was writing his story before the time of Alexander the Great’s conquest of Asia. The treasury city of Persia was unknown to most Greeks—it may have been unknown to Plato. However, it certainly added some nice embroidery to the Atlantis story which may or may not have come to Athens from Persia. Now, fast forward to the 1920’s. Edgar Cayce was lying on his couch in his home in North Carolina, hands folded. He began talking about Atlantis, an island he had never heard of. He told of a civilization that was far ahead of others of the time. I don’t recall the details of the civilization. However, I do know of the report of some calamity that overtook the island. Reports vary— it may have been a volcano eruption, it may have been an earthquake. In any case, reportedly, the island split and sank beneath the waters of the Atlantic. As many people as were able fled the island in their boats. They must have scattered to the four winds. According to the channeled reading of Edgar Cayce, the people on the island had ‘red’ skin. Now, fast forward again to the present day. I recently saw a program on the History International Channel. 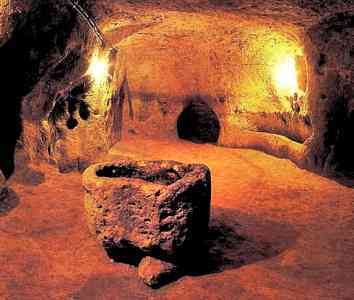 In it, evidence of the arrival of Native Americans from the east was explored. We all know of the evidence of Indians arriving from the west. Several influxes of people crossed the Bering Strait during the last Ice Age when the sea level was considerably lower than it is today. These people traveled along a corridor between glaciers that passed through what is now Canada into the current US. As the ice melted, they settled the western half of the North American continent and made their ways into south America. That scenario is well documented and accepted. However, recent finds of an unrelated group of early North Americans have scientists baffled. 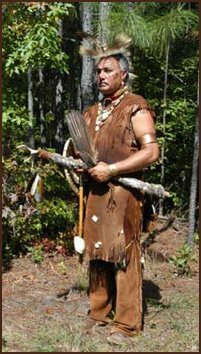 Known as the Pre-Clovis People, they are thought to have arrived about 18,000 years ago. At about the same time the people were coming into this country from the west this group arrived on the east coast. The difference is, they didn’t have a land bridge to cross on foot. Their artifacts differ significantly from those of the earliest settlers from the west. Their arrowheads, in particular, are extremely different. 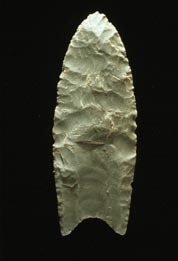 Clovis arrowheads are chipped from a single piece of flint while the earliest western arrowheads are made of bone with inset flint flakes. The two technologies are vastly different from each other. Now— wait for it —a similar technology has been discovered in France, of all places. 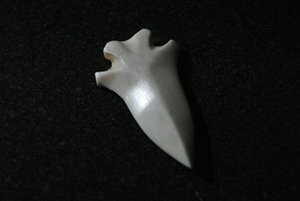 The arrowheads are slightly different but both bear the distinctive ‘Clovis Notch’. The small differences between them can be attributed to nothing more than taste preferences of the toolmakers. One reason why scientists are so baffled by the Clovis People is that they simply cannot wrap their minds around the idea of people coming here by boat from France at about the time of the Ice Age or, possibly, before it. I’m about to go out on a limb here where, I’m certain, no scientist would follow. But, since I don’t have a scientific reputation to protect, I’m not afraid of some wild speculation. Suppose the Clovis people didn’t come here from what is now France. Suppose they weren’t native to Europe at all? Suppose they lived on a large island in the middle of the Atlantic Ocean. We might as well call it Atlantis — although, almost certainly, they didn’t call it that. Now suppose the island blew up or split apart. Everyone who could get to a boat ran away as fast as they could. 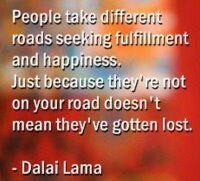 There was no rhyme or reason to their direction. Just getting away was their goal. So, some ran north, some fled south, some went east—and landed in France, and some fled west and ended up in Virginia. Of course, the French don’t have ‘red’ skin today. But there were already people there when the Atlantians arrived. They settled down and mated with the ‘white’ skinned majority and their gene for ‘red’ skin was eventually selected out. The people who landed in Virginia, though, found no one to mate with. They mated within their own groups for several thousand years before meeting up with the groups who had arrived from across the Bering Strait. So, the ‘red skin gene’ was not diluted. This theory is, of course, based on nothing more than speculation. But, I do believe Casey’s guides knew what they were talking about. And, it’s easier for me to believe that two cultures across the Atlantic Ocean from one another who had virtually the same technology came from a place midway between the two continents and made the journey out of their most desperate needs rather than the scenario of a small group ambling down to the beach and setting off on a journey when they had no reason to believe that they would eventually find land on the other side of the Great Water. Tonight [August 29, 2009] I’m watching yet another documentary on the Clovis Mesoamericans. Some scientists suggested a scenario in which people who originated in Europe might have accidentally traveled to what is now North America. And one argued against that suggestion.